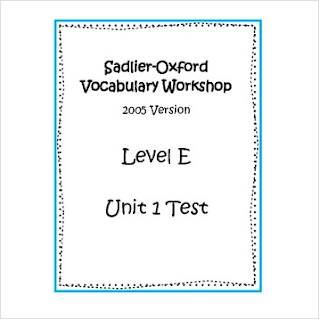 This is a test based on the 2005 version of Sadlier-Oxford Vocabulary Workbook for Level E, Unit 1. 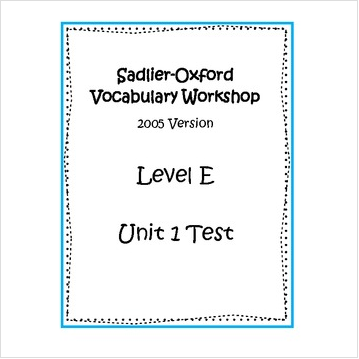 The test has 5 Multiple Choice questions, 5 Choose the Right Word questions, 8 Completing the Sentence questions, 7 Match Synonyms, 5 Match Antonyms, and 5 Creating Sentences questions. This does include an answer key.